Commercial property is big business in Lagos Nigeria. Many home owners make it a point of duty to add two or three shops to their homes even when it's not a commercial apartment. That tells you how important commerce is to the people of Lagos Nigeria. commercial real estate waiting for the taking. Commercial property Lagos Nigeria is expensive to buy or rent. It is true that shops are everywhere. But not every area have the same level of commercial activity. Some places, like bus stops, are far far busier than places that do not command the same level of human traffic. Heavy traffic means more transactions. And hence, more money for you the business owner. Location is key when it comes to commercial real estate. This is a fact in Lagos Nigeria and everywhere else in the world. However, some business owners compromise on this because of the cost of renting commercial property in heavily trafficked business districts. But while cost is important, it must be noted that a decision as crucial as the location of a business should not be based solely on cost factor. Suppose the rental price for commercial real estate in a business district, say location A, cost 7,000 naira per month. Suppose also that a similar commercial house in a less trafficked neighbourhood, say location B, cost 600 Naira per month. Suppose Mr John made sales of 150,000 Naira per month in location A while Mr. Frank makes 10,000 per month in location B. Clearly, location A adds more value than location B even though both properties are commercial property. And the profitability of location A far outweigh the cost of renting the property. In summary, rent a business property that takes into consideration all the crucial factors essential for the success of your business. 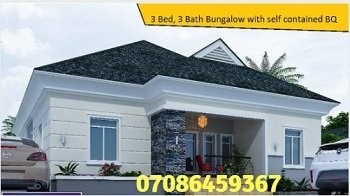 We are customer-focused Lagos Nigeria real estate agent. We provide . . .
Let's help you buy or rent the right property for you. Contact us to let us know your requirements.